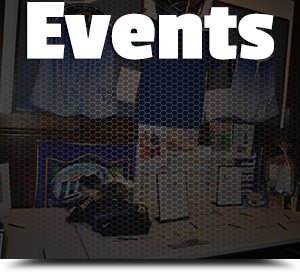 Bayhawks Events, Heroes Pub Events, Golf Events and more! Make a monthly donation, donate a gift, or volunteer your time. The Kevin E. Reichardt Foundation Leadership Program (KRFLP) offers leadership development and training for high school students from across Anne Arundel County, as well as college scholarship opportunities for graduating seniors. It is open to all students who are at least 16 years of age or will be juniors or seniors in the upcoming school year. To recognize student leaders in Anne Arundel County high schools for their accomplishments and to provide them with the opportunity to meet with successful leaders and each other to foster additional growth in leadership skills. 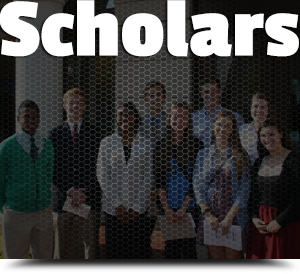 One student each year will be recognized with the Kevin E. Reichardt Leadership Scholarship, which for 2013 was for $4,000. Ely Kahn graduated from Harvard. Allison Harper graduated from Harvard. Eric Verploegen graduated from Cornell. Erin Coppedge graduated from George Washington University. Daniel Hauber graduated from Duke University. Tim Shanley graduated from USNA. Maria Smear Wright graduated from Yale. Becca McDevitt graduated from Davidson. Kristin Gaudreau Durkin graduated from Notre Dame. Darren Kramer graduated from Salisbury. Will Phillips graduated from U Penn. Thomas Gateau graduated from Salisbury. Allison Lynch Lehmann graduated from Delaware. Andrea Smith graduated from Dartmouth. Matt Nicholson graduated from Dartmouth. Sean McGraw graduated from USNA. Steve Panos graduated from DePaul. Jimmy Queeney graduated from Colgate. Lindsay Desharnais graduated from Saint Enselm. Iheoma Umez-Eronini graduated from Stanford University. Jason Gonos graduated from Harvard. Kara Bowman graduated from George Mason University. Delia Pais graduated from Harvard. Jordan Haller graduated from Penn State. Melanie Schwer graduated from Mount St. Mary's. Rhett De Pol graduated from USNA. David Gateau graduated from USNA. Allie Johnson graduated from Duke. Christian Pastirik graduated from Towson University. Brooks Fisher graduated from Loyola University. Marie Oben graduated from St. Mary's College. Conor Devlin graduated from UMBC. Stephen Panos graduated from DePaul University. Nicholas Bonacci graduated from Dartmouth. Jenna Hubbard graduated from University of Richmond. Each year, The Kevin E. Reichardt Leadership Award honors one person who makes important contributions to the economic, social, and cultural life of the Anne Arundel County community. Nominations are open to the public and the winner is selected by the Kevin E. Reichardt Foundation Board of Directors. The winner receives a plaque recognizing these contributions, which is presented on the field at halftime of a Chesapeake Bayhawks lacrosse game. We request the recipient agrees to volunteer their time to make a presentation to county high school student leaders who have been accepted into the Kevin E. Reichardt Leadership Program at our fall workshop. The mission of the Kevin E. Reichardt Foundation ("KRF") is to promote, foster, and further the academic, personal and professional development of young men and women who embody the positive attributes and spirit of Kevin E. Reichardt. © 2019 Kevin E Reichardt Foundation.